Nokia has recently unveiled its new flagship Window phone, Nokia Lumia 925. It’s a second phone that has been added in the Lumia series in a week and the first Lumia phone to sport a metal body instead of the series-staple polycarbonate. It showcases various mind-blowing features, latest PureView camera specifications and various third party applications, that will surely impress you. We got the opportunity to go hands-on with the phone and figure out whether this new addition by Nokia really worth it or not. With 130g of weight and 8.5mm of thickness, the Lumia 925 is both lighter and thinner than its immediate predecessor, the Lumia 920. It comes with a new body design having aluminum frame rather than polycarbonate with a thin layer of plastic on its back cover. It has a non-removable cover, so you can’t have an easy access to the battery. The SIM slot, micro USB slot and headphone jack lies up there right at the top. 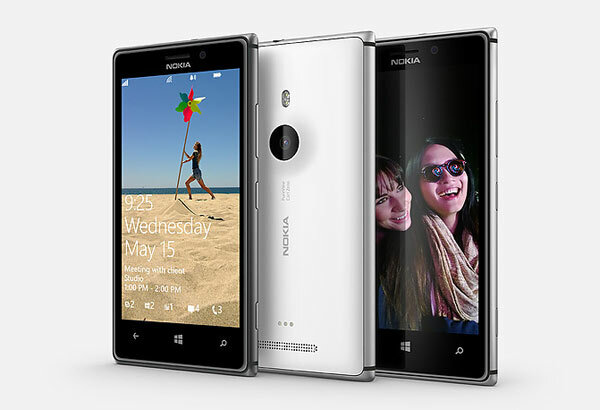 Just like Lumia 920, the Nokia Lumia 925 features 4.5inch AMOLED display having 720p resolution. Though, this model aims to clear up the criticisms that has been leveled at the previous model, many specs remains the same. With good contrast and vibrant colors, the interface looks sharp but if we compare it to other Android phones that use display resolution of 1080p, the difference isn’t apparent. As far as the software is concerned, Lumia 925 comes out of the box with Windows Phone 8 OS. It is powered by 1.5 GHz dual core Snapdragon processor that helps in the smooth functioning of the device. Lumia 925 comes preloaded with 1GB of RAM. It doesn’t have additional memory card slot, but as there’s 16GB of internal memory so it won’t be a huge problem for most people. If you are a Vodafone customer, then you can also have an easy access to a 32GB version of the Nokia Lumia 925. This will provide you with more capacity to store all your apps and other personal stuff. Lumia 925 has a 8.7MP primary camera with Carl Zeiss optics and an LED flash. It is also bolstered by Nokia’s new Smart Camera app that packs an array of playful effects with Action Shot mode as the most impressive one. This mode automatically creates a multi-exposure action shot from a burst of pictures, allowing you to remove or fade some of the frames for making the picture appealing. There’s a Motion Blur filter which highlight one element and blurs the rest. There’s also a Change Faces feature that lets you swap and play around mugs in a group shot. Then there’s a Remove Moving Objects feature, that lets you remove unwanted elements from your photos. Apart from all these cool features, the handset also packs 1.2MP front-facing camera that allows you to take self portraits and do video calls via Skype, etc. Nokia Lumia 925 supports all the latest connectivity options like 4G, 3G, Wi-Fi, NFC, Bluetooth, etc. Like other Lumia phones, 925 also comes with an extensive wireless charging features. Hence, a wireless charging cover can be attached onto the back of the phone. Lumia 925 comes loaded with the 2000 mAh battery that gives up to 18.3 hours of talk time. The battery is powerful enough to last throughout the day. The Nokia Lumia 925 price is expected to be somewhere near around 469 Euro and probably it would be available in market from June. However, the price and availability of the new Lumia925 in India is still awaited. After it’s release, you can grab your own Lumia 925 from Naaptol.com and avail various benefits on online shopping. 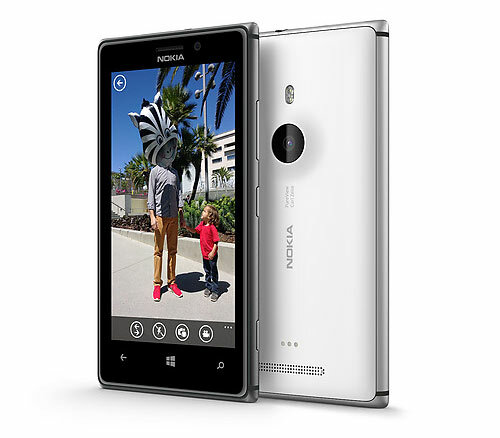 Overall, we found Nokia Lumia 925 an improved version of Lumia 920 with powerful Smart Camera app. It’s an attractive and sleek addition to Window Phone 8 series and is one of the latest mobile phone with the new technology. Hence, it’s a worth buying.